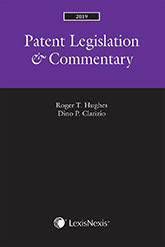 Auteur(s) : Hughes, Roger T.; Clarizio, Dino P.
This patent law desktop reference for IP practitioners, agents and clerks brings together the full text of current and former versions of the Patent Act and Regulations and Rules, and related legislation, and material. The year in review and the introductory commentary fully update you on legislative, jurisprudential and practice developments. Provide for licensing commitments that bind the owner of a standard-essential patent to also bind any subsequent owners and holders. This desktop reference for IP practitioners, agents and clerks brings together the full text of the current and former versions of the Patent Act (pre Oct. 1, 1989 and post Oct. 1, 1989) and Regulations and Rules, the Plant Breeders' Rights Act and Regulations, plus prescribed forms and related material. The year in review and the introductory commentary fully update you on legislative, jurisprudential and practice developments. 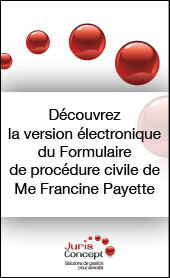 95 internautes ont consulté cette page.